We love to connect with artists from around the world; in fact, it is our priveledge to share art with you. Another new discovery at AWE this week is “Doli Photography” based in Dallas, Texas, USA. 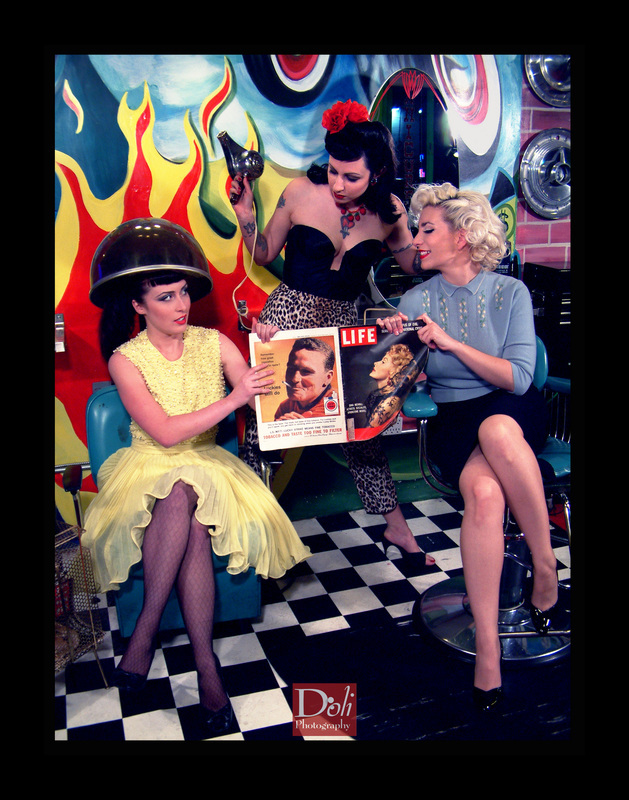 Doli has an array of works on her site at http://www.doliphotography.com but highlighted below are her Pin-Up pieces. Her use of color and dynamic in her shoots is quite interesting and not only teasingly rebellious, but also indicative of freedom in the arts in today’s world. Doli Photography has a selection of prints available for sale, be sure to visit her site! Since they skyrocketed to popularity in the World War II era, pin-up images have occupied a variety of roles — military inspiration, commercial photography, kitsch nostalgia and cult aesthetic.